Since the age of 16, Italian footballer Matteo Darmian has been playing professionally. Born on the 2nd of December 1989, Darmain started out his career playing in the youth team of Serie A side, AC Milan. After spending years playing in different clubs in his home country, he got his first overseas signing in 2015 when the then Manchester United coach Louis Van Gaal signed him to a 4-year deal estimated to be worth around £12.7 million. Darmian has played for the Italian senior national side since 2014. Read on for more facts about the defender’s career and personal life. Many of the world’s pro football stars are known for their promiscuity, but Matteo Darmian begs to differ from that lot. Since he was a teenage boy, Matteo Darmian has been in love with just one woman – Francesca Cormanni. Their relationship endured through to the point of marriage which came in June 2017. Francesca who frequently posts about her adorable relationship online took to her Instagram account on the 12th of December 2016 to announce that she had said yes to the man of her dreams. In the caption of the photo which featured a diamond ring from her beau, Francesca gave some details away including that she first met Darmian on the 2nd of December 2008 which also happens to be Darmian’s birthday. 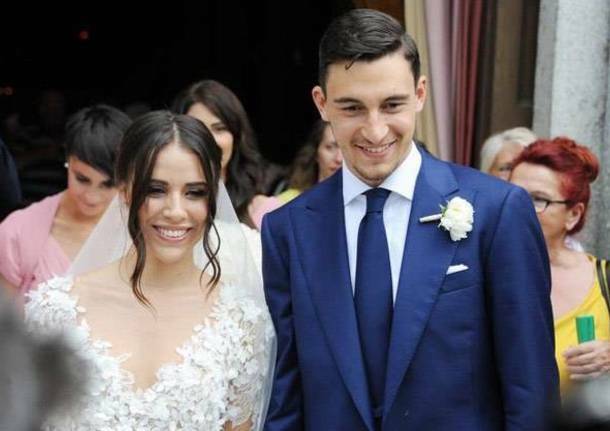 On the 14th of June 2017, the couple tied the knot in a lavish traditional wedding in Darmian’s hometown of Legnano near Milan. As expected, many high profile guests were in attendance to grace the event including Darmian’s former teammate Morgan Schneiderlin, and Alessio Cerci, Darmian’s teammate during his time at Trino. Matteo’s wife Francesca Cormanni was born on the 17th of August 1987 which makes her two years older than her husband. While Francesca regularly posts cute snaps of her with her husband Darmian, she almost never gives anything away regarding her profession, thus, little is known publicly about her other than the fact that she is Mrs. Darmian. She made the news in February 2018 when an Instagram post she made counting down to the end of the 2017/2018 premier league season had people speculating that her husband’s rumored move away from the English side to Juventus was imminent, it turned out not to be the case. It is always an advantage to a young athlete when their parents support their dreams of becoming professional sportsmen. In Matteo’s case, not only did his father support him, he had the skills to coach him thanks to his experience as a coach with the Oratorio team, U.S. CARCOR, a team where Italian legends such as Marco Simone and Luigi Pogliana played in their early years. His father’s involvement in his career sure did a lot to speed up his growth and by the age of 11, his skills were good enough to attract the attention of Beniamino Abate, a certain Milan scout who focused on harvesting young talent from the Lombardy region of Milan where Darmian grew up playing football. 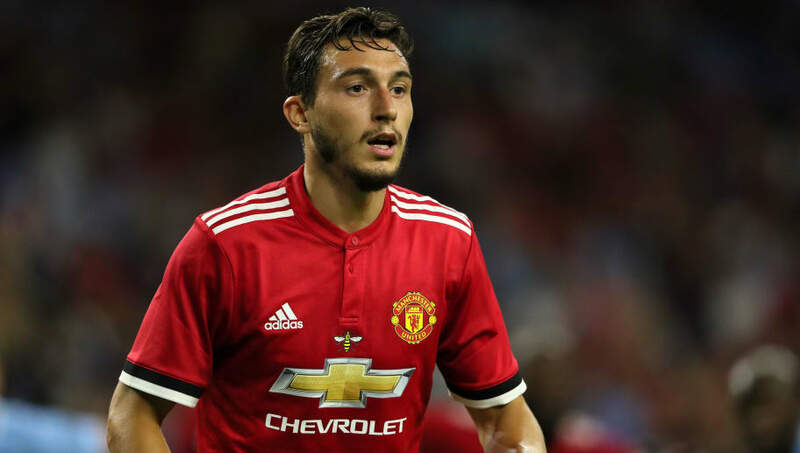 Six more years was what it took before Matteo Darmian was called to the Milan senior team. In 2014, an information about Darmian ethnicity appeared on the official FIFA website saying that Darmian was Armenian. However, in a 2015 interview, the footballer clarified his nationally saying that the input by FIFA was a mistake. “No, I’m not Armenian. There was a mistake in the FIFA website. This is an official response,” the full-back said. According to his profile on ESPNFC, Matteo Darmian stands at exactly 6 feet tall, that is 1.83 m. His weight is recorded at 70 kg (154 lb) and other details of his body measurements are yet to be confirmed.